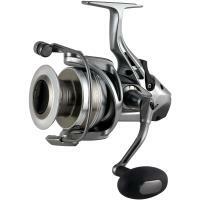 The Okuma Trio Rex Arena Surf Spinning Reel delivers a complete commitment to distance, a defining factor for many surf anglers. 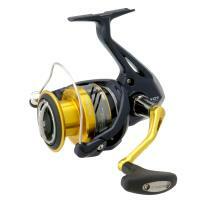 Constructed of a foundation of strength, this reel features a shallow, large diameter long-cast spool design. 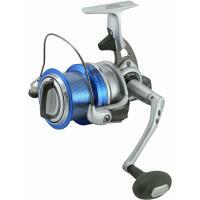 With a capacity of 340 yards of 14 pound monofilament, this reel can carry an expansive amount of braid. The Okuma Trio Rex Arena Surf Spinning Reel delivers a complete commitment to distance, a defining factor for many surf anglers. 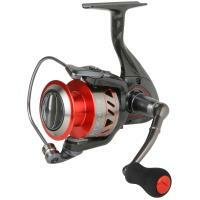 Constructed upon a foundation of sheer strength, this reel features a shallow, large diameter long-cast spool design. 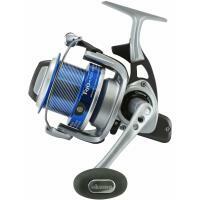 With a capacity of 340 yards of 14 pound monofilament, this reel can carry an expansive amount of braid. 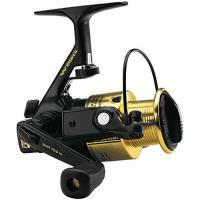 The spool design ensures that all of the capacity is completely functional as well. 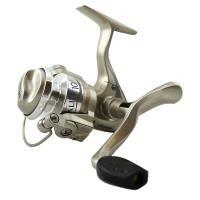 With a heavy duty, rigid aluminum handle arm and comfortable Ergo Grip handle knob design, this reel will have you all set for a comfortable day spent on the water. 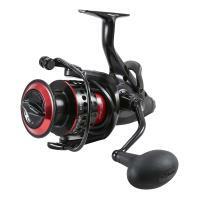 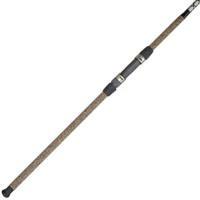 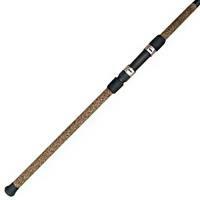 The manufacturer provides no information about the drag system other than it is an extremely powerful 28 lb drag strength. 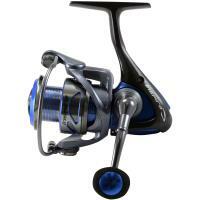 This reel would be a fine pairing with that rod for long casts. 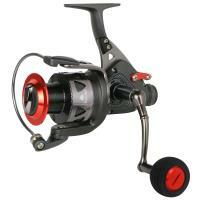 The weight of the reel is 20.2 ounces.